A Wildcard SSL Certificate is designed to secure one single domain and all its sub-domains. Wildcard SSL Certificates can secure an unlimited number of sub-domains. Here is a list of Wildcard SSL Certificates which you can choose from. 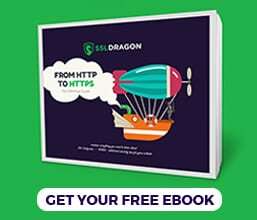 If your website’s domain is www.ssldragon.com, then the Wildcard SSL Certificate will secure the main domain name (e.g: https://www.ssldragon.com/) and an unlimited number of your first-level subdomains, such as https://account.ssldragon.com or https://login.ssldragon.com. Thanks to a Wildcard SSL Certificate, you don’t need to buy multiple certificates for each subdomain. The Wildcard SSL certificate comes in two options: Domain Validation (DV) and Business Validation (BV). Wildcard SSL certificates are easy to control. You have only one SSL Certificate for all your sub-domains, and they will all have the same renewal date. 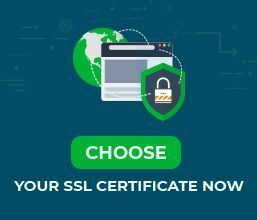 If you have several level 2 sub-domains which you want to secure (such as http://test.account.ssldragon.com and http://my.account.ssldragon.com) then you will have to buy a separate SSL Certificate for each level 2 subdomain. Or you can buy one UCC/SAN SSL Certificate and it will allow you to secure several level 2 sub-domains. If you want to secure several sub-domains with an Extended Validation (EV) SSL Certificates and get a Green Bar for all your sub-domains, then you have to buy individual EV SSL Certificates, or you can buy one single EV SAN Certificate (Extended Validation Multi-Domain Certificate) in which you can include several sub-domains. By getting an EV SAN Certificate, you will be able to have a Green Bar on your main domain and on several sub-domains that you include in that EV SAN Certificate. Also, when you generate your CSR (Certificate Signing Request) for a Wildcard SSL Certificate then your common name is *.ssldragon.com. By the way, you can generate your CSR on SSL Dragon’s CSR Generator.